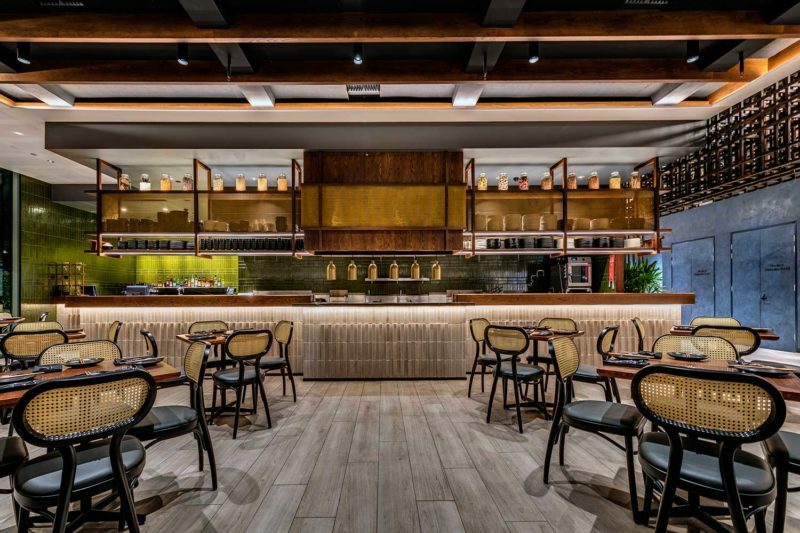 A new blend of Asian restaurant with a modern exotic twist. 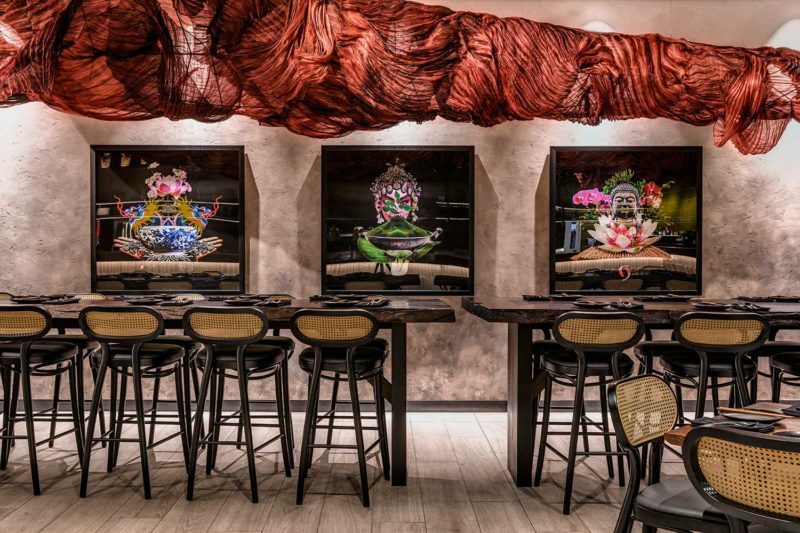 This restaurant has a theatrical entrance and full of texture. 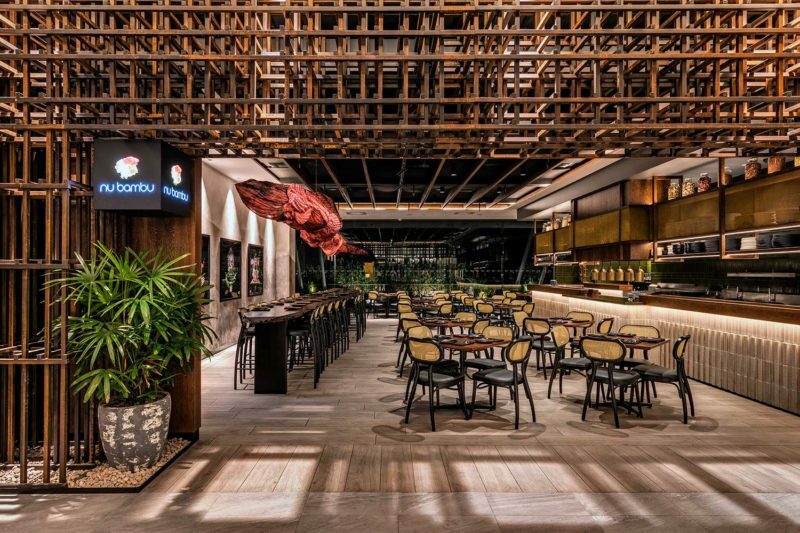 10 meters dyed silk organically sculptured above large timber slabs as masterpiece of the interior, complimented by Japanese influenced plants and greenery in the balcony.